GoPro is tough enough to survive close encounters with sharks, killer waves and even drops from outer space. Now the wearable camera maker is conquering Wall Street. 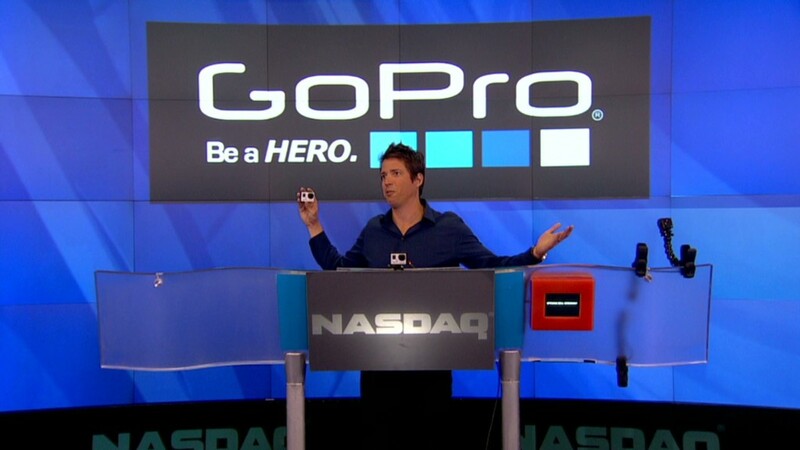 GoPro (GPRO) officially went public Thursday on the Nasdaq under the ticker symbol "GPRO." After pricing its initial public offering at $24 per share -- the top of its intended price range -- the consumer electronics company jumped immediately in initial trading and is surging over 30%. Shares are selling for over $31. It kept the momentum going on Friday. The stock is trading over $38 -- a jump of over 55% since its debut. David Menlow, president of IPOfinancial.com, said GoPro is clearly a "hot brand" that is "on fire" thanks to the popularity of its durable product. A successful viral marketing campaign has amplified GoPro's visibility and cemented its extreme brand credentials. One video shot on the company's HERO3 camera features incredible images from around the world and has generated 32 million views on YouTube over the past year. In 2012, Felix Baumgartner wore a GoPro camera to give the world a first-person view of his space jump from 24 miles above the earth's surface. The GoPro IPO raised about $425 million. The deal values GoPro at nearly $3 billion based on its roughly 123 million shares outstanding. GoPro's HERO cameras represented a 45% share of the U.S. camcorder market by dollars in 2013, up from 11% in December 2011, according to statistics from The NPD Group cited in the company's IPO filing. 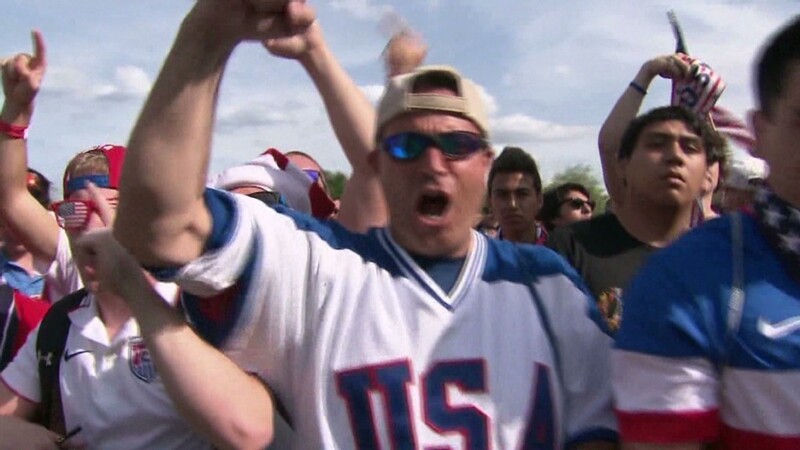 World Cup: Are you watching at work? However, GoPro's growth appears to be slowing. While the company's 2013 revenue quadrupled to $986 million, its first-quarter sales dipped slightly. Profits declined year-over-year to $11 million from $23 million in the first quarter. The biggest risk facing GoPro is the threat a deep-pocketed rival will develop technology that tops its imaging and memory capabilities. Tech giants like Google (GOOG) are increasingly moving into the wearable gadget space with products that have built-in cameras. Still, Menlow said: "First into a market usually gets the largest market share." GoPro is hitting the public markets at an opportune time. Volatility is extremely low and investors continue to show a strong appetite for IPOs. According to Ernst & Young, companies raised $117.7 billion in IPOs globally during the first half of 2014, up 60% from the same period in 2013. That's the best first-half performance since 2007. However, first-day "pops" among U.S. IPOs dropped in the second quarter to an average of 9.8% from 12.3% during the first quarter, Ernst & Young said. Foxconn, the Chinese company that manufactures iPhones and iPads, invested $200 million in GoPro in late 2012. That deal gave Foxconn a 9% stake and valued the gadget company at $2.25 billion. The lead underwriters on the GoPro IPO are JPMorgan Chase (JPM), Citigroup (C) and Barclays (BCS).